This will be my first book in this series! This one has such a fun premise! My first book by this author, I've heard great things about it! I just love all things Marie!! I haven't read the Heist Society series yet, but I've heard good things about it. Crush Control sounds pretty good. I will have to add that to my TBR and I'm loving the Marie book. I look forward to your reviews! I haven't read Heist Society but I'm looking forward to what you'll have to say about Uncommon Criminals. I just ordered Crush Control today! Heist Society was great so I'm excited to read Uncommon Criminals. The Marie Antoinette book looks good too! 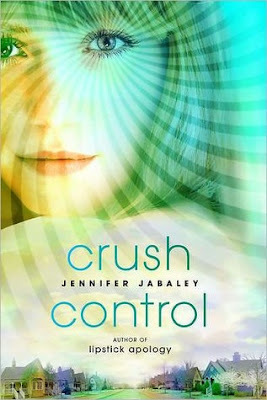 Haven't read any of these, but love the cover of Crush Control! Happy reading! I read To Win Her Heart last week and really found it delightful, actually read it in one sitting. I look forward to reading your review. I got Becoming Marie Antoinette this week too :) I am so jealous of Uncommon Criminals! I've been debating whether or not I should purchase a copy when it is published since I own book one. I love Ally Carter's books. I hope you enjoy these! Becoming Marie Antoinette looks great - I'm going to have to look into getting that book! My IMM post can be found here. I've heard good things about the Heist Society books, looking forward to seeing what you think of that one! The cover for Crush Control is absolutely gorgeous, I can't stop staring at it long enough to look up the blurb:) Fantastic mailbox Carrie! I got Uncommon Criminals (and Heist Society) for review too! I'm looking forward to them, they sound really cute. 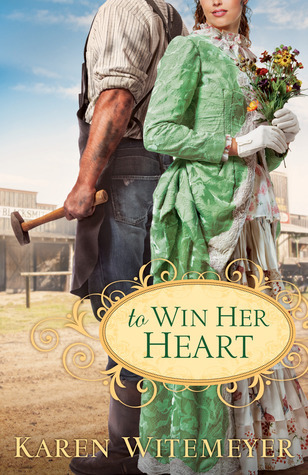 I love the cover of To Win Her Heart. Enjoy your books! To Win Her Heart looks like a fun read!!! I will be checking it out myself. Love the cover. Great set! So jealous of Uncommon Criminals! I read Heist Society, and while it was just alright for me, I LOVED Hale a lot. Hopefully you enjoy! Have a great rest of the weekend and thanks for stopping by! Ooh, you're reminding me that I need to read Heist Society because I've heard so many good things about it! Happy reading! I can't wait to read Uncommon Criminals. Great books this week and happy reading! Great mailbox! Thanks for stopping by mine! Crush Control seems great :). The giveaway about this book on the story siren is awesome I think I'll pre order it ! Oooooh I love Marie Antoinette :). And everything about Versailles ect... Proud to be french ^^. I am soooooo jealous that you have Uncommon Criminals I loved Heist Society so much! I heard soo many good things about the Heist Society series..I really want to read it now! Uncommon Criminals- nice! I really enjoyed Heist Society. Crush Control looks awesome too. I've just now seen Crush Control popping up everywhere and I'm dying to read it! Crush Control sounds good, insta-luv via hypnotism hehe. Anyway, thanks for stopping by earlier. I'm a new follower. Thanks for stopping by. 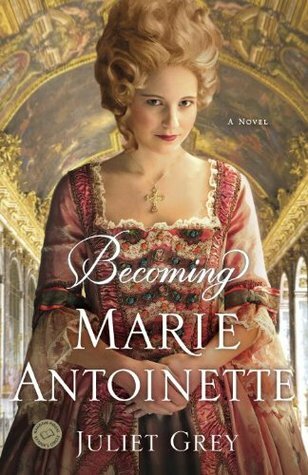 Becoming Marie Antoinette sounds so interesting. I love a good historical novel. Happy reading! Wow, I'm so jealous that you have Uncommon Criminals. I really liked the first book. Crush Control makes me really curious. I've seen in at lot in different IMM. It sounds good. I'll really have to check it out when it comes out! Crush Control seems interesting, so does Becoming Marie Antoinette. I hope you'll enjoy it. I haven't read anything by Ally Carter! Enjoy reading! O fun fun and the last looks so good. Her eyes look like she's hiding something juicy. Oh, that Marie Antoinette book looks great! Nice haul, Carrie. I wanted to tell you about the buzz about The Legacy. Read Melissa's review of it. She says lovers of historical fiction would like it. I thought of you immediately. You might already have it. I haven't kept up well, sorry. But it sound like you. She reviewed it yesterday. I'm hearing a lot of this Heist Society series lately! They seem like a fun read! Great books this week. Winner Announced! Midsummer's Eve Giveaway Hop! Giveaway and Review: "Beg for Mercy"
Winner Announced!! "The A Circuit"
Free Ebooks from Sourcebooks: This Week Only!